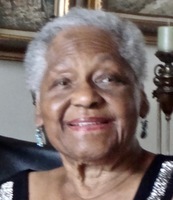 Provide comfort for the family of Rose Hardaway with a meaningful gesture of sympathy. To send flowers in memory of Rose Hardaway, please visit our Heartfelt Sympathies Store. Provide comfort for the family of Rose Hardaway by sending flowers. "Our Father in the heavens, let your name be sanctified. Let your Kingdom come. Let your will take place, as in heaven, also on earth." Please end all sickness and death, Jehovah, for eternal life in perfection was your will for Adam and Eve, and it is your will for all obedient mankind including Ms. Rose who has fallen asleep in death. (Matthew 6:9-10; Genesis 2:15-17) May the God of all comfort and tender mercy strengthen you to get each other through your loss! It would be my pleasure to enjoy the exquisite delight in the abundance of peace with Ms. Rose in God's restored paradise!